New HDVR (HD DVR) Cards with our AVM (Advanced Video Management) software allow you to use traditional coaxial cables to record in HD quality. This 12-Channel HD DVR card set is a set of PCIe style cards, which will insert into a Windows 7 or Windows 8.1 PC to allow you to turn that PC into an HD video recorder with industry-leading playback and remote access to your HD cameras. 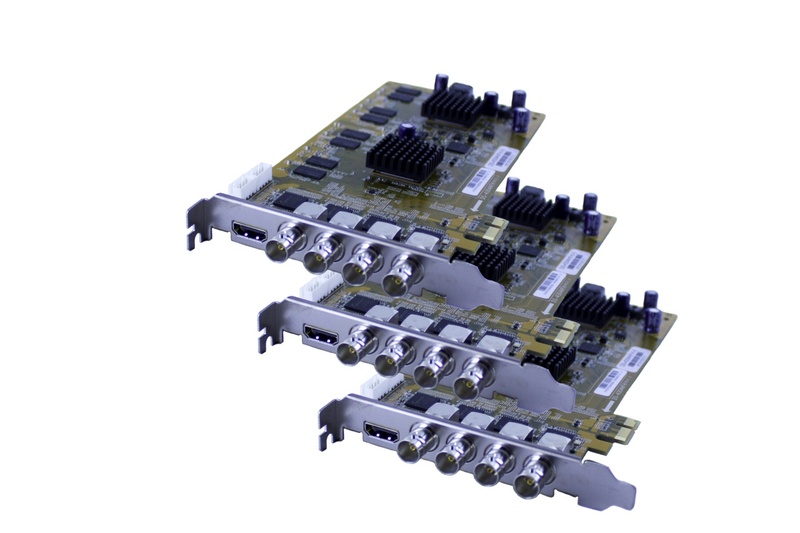 This SKU comes with 3 of our 4-Channel PCIe HDVR cards, so you will need 3 available PCIe slots (x4, x8, x16 all work) in your PC.